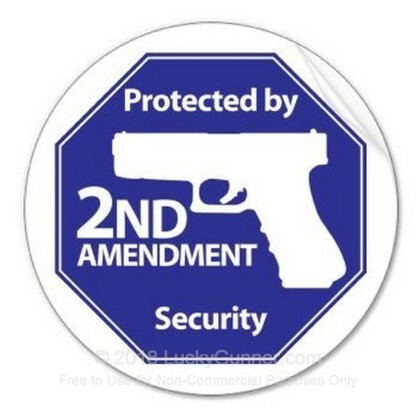 Display your pride in your right to keep and bear arms with this 2nd Amendment bumper sticker! 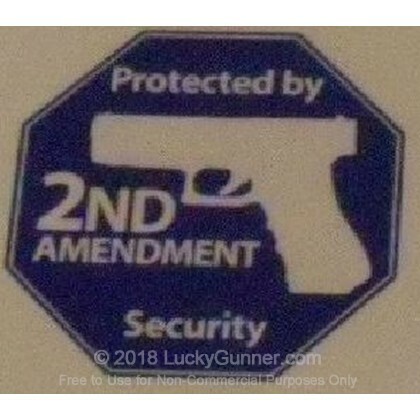 Let the world know that you believe that the right to keep and bear arms is an individual right by proudly displaying this sticker on your car. 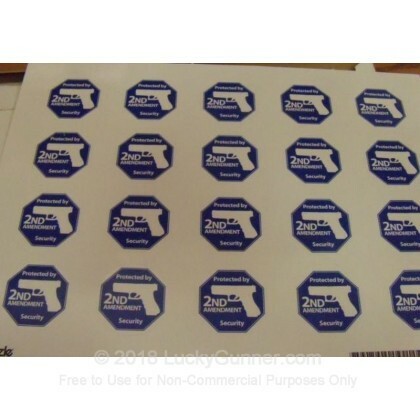 The stickers are high quality, but seem smaller than I expected. Like the other review I missed the size and did not realize I was paying $1 for a sticker the size of a quarter. Not worth the money even though its a really cool sticker. I got it and I have to admit... I was disappointed.. I guess I have to read the size, since I was expecting it to be big enough to warn BGs... Instead, it is just big enough to put on my laptop. If it was big enough to put out on a sign.. they would sell more.